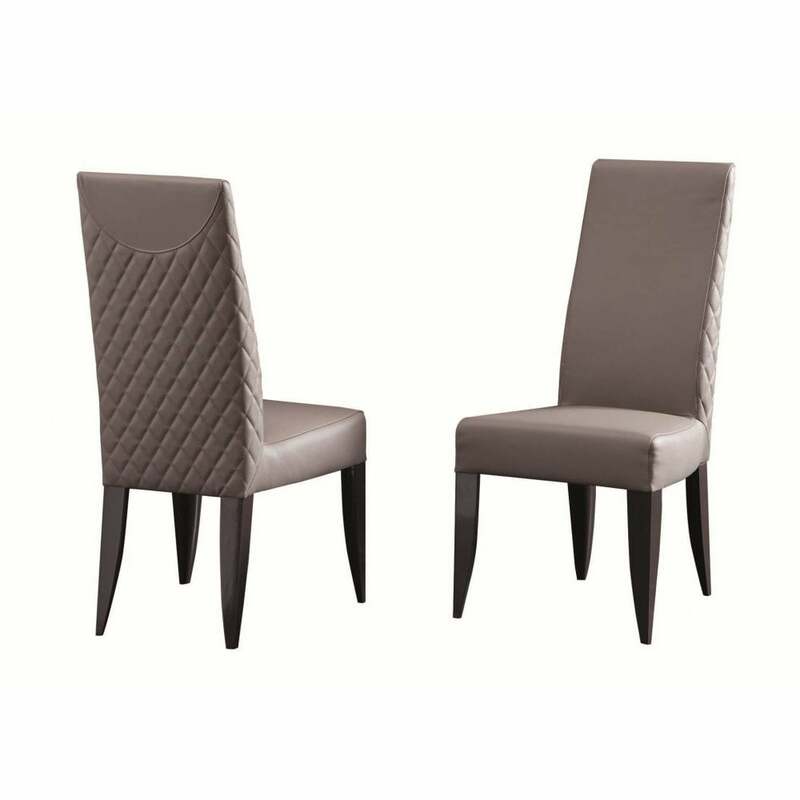 The Vivien Dining Chair from the Daytona furniture range is inspired by the luxurious décor of the 1930’s. Featuring a subtle and elegant shape, the backrest is upholstered in a soft leather with intricate hand-stitching and quilted detailing. Tapered legs are crafted from a solid beech with a smoke lacquer. A versatile dining chair, the sophisticated colourways work beautifully in both modern and traditional homes. Style with 1930’s hues of coffee, beige and mink for a luxe look. The legs are available in various precious wood finishes. Seat and backrest can also be realised in other fabrics or nubuck leather. Get in touch with our team for more information and advice.